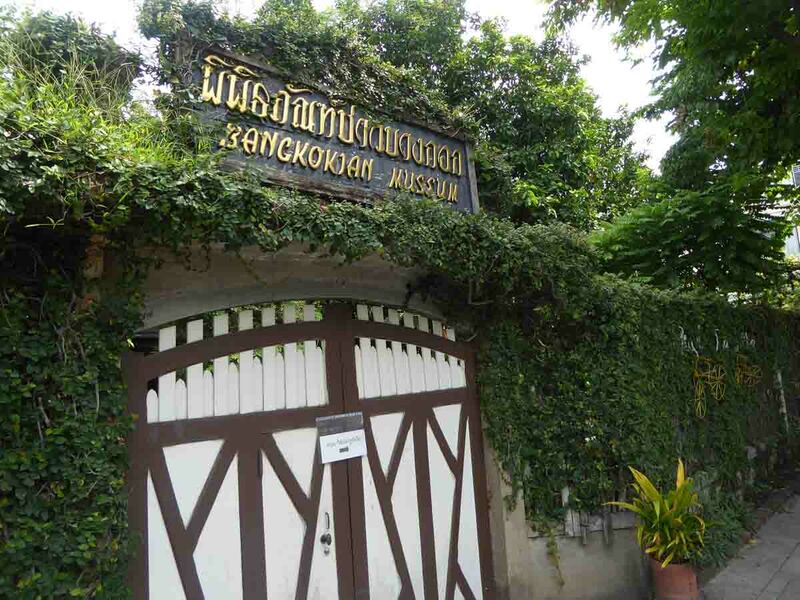 The Bangkokian Museum is a complex of several preserved old wooden houses set in a quiet, shady garden just off the busy Charoen Krung road in the Bangrak area. 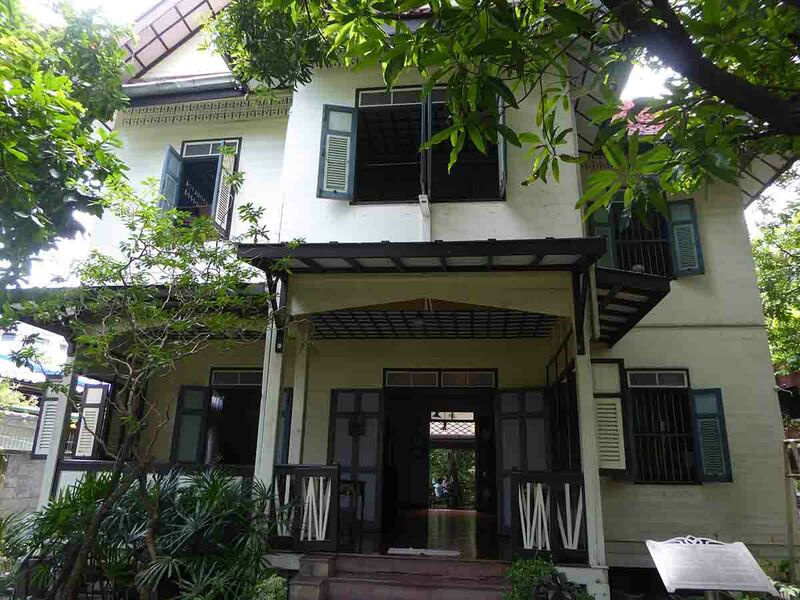 The museum showcases the lifestyle of middle-class people in pre-and post-WWII Bangkok with the houses preserved as they originally were and containing an interesting exhibition of the house contents from that period. 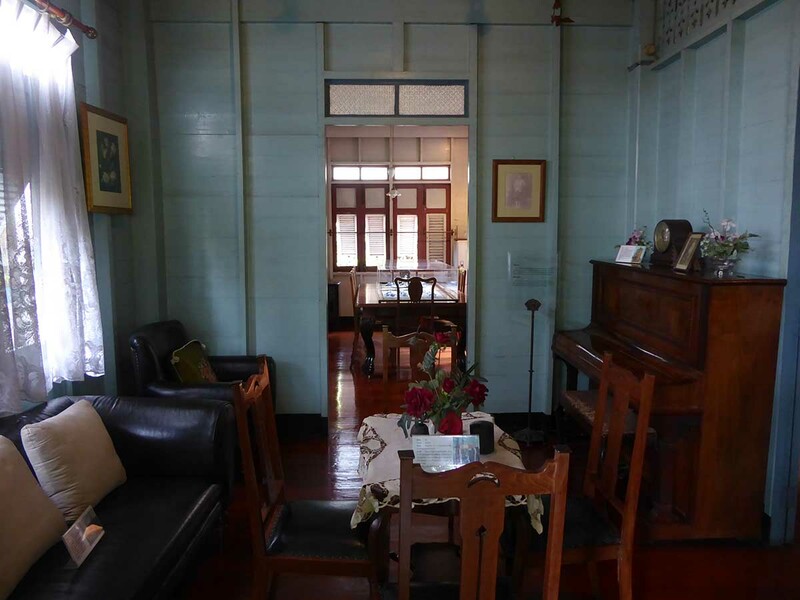 The main 2-story teakwood house, built in 1937 at a cost of under 2400 baht. The architecture is a unique mixture of western and Thai pan ya style. 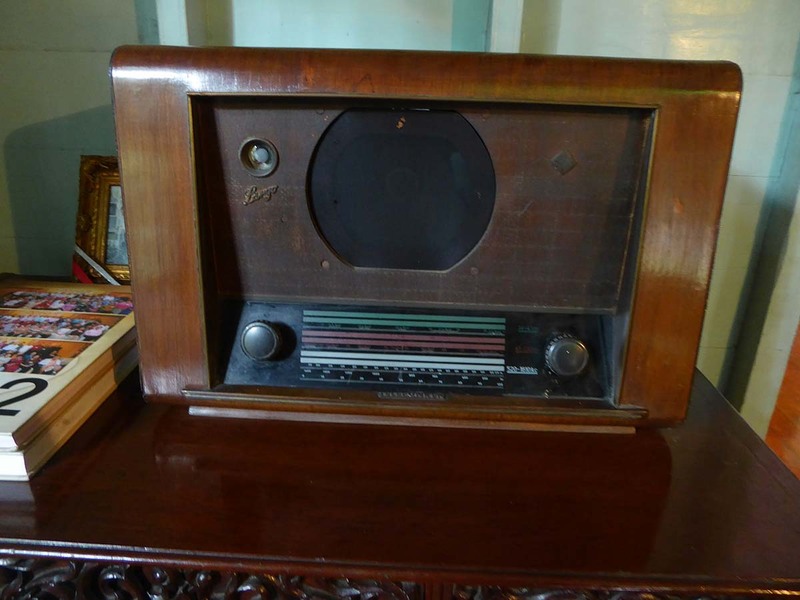 The house was the home of the Surawadee family and contains the original furniture, fixtures, and fittings including some classic retro items such as old radios, gramophone player, TV, as well as old porcelain, ceramics, silverware, Buddha images, a 4-poster bed and an old safe. 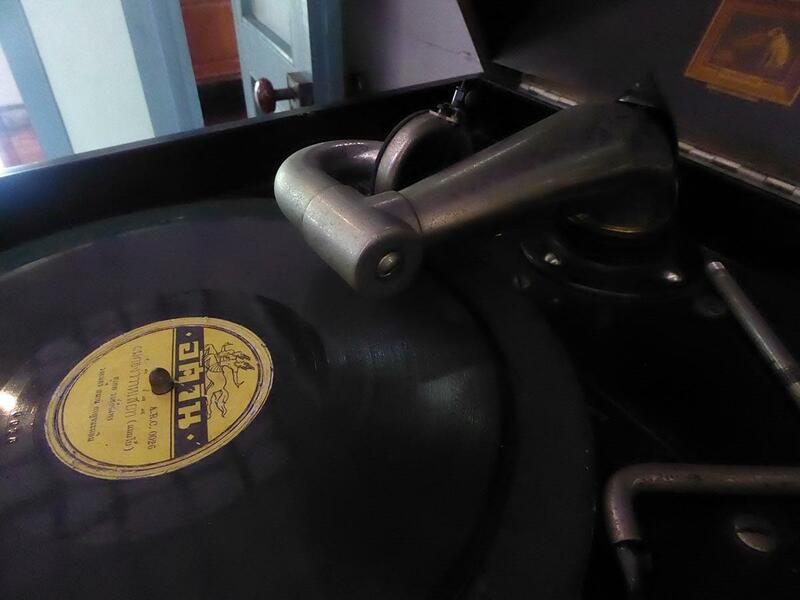 The exhibits on show are both pre-and post-WWII up to 1957. Building 2 dates from 1929 and came from a separate site owned by the same family. It was originally a doctor’s clinic. 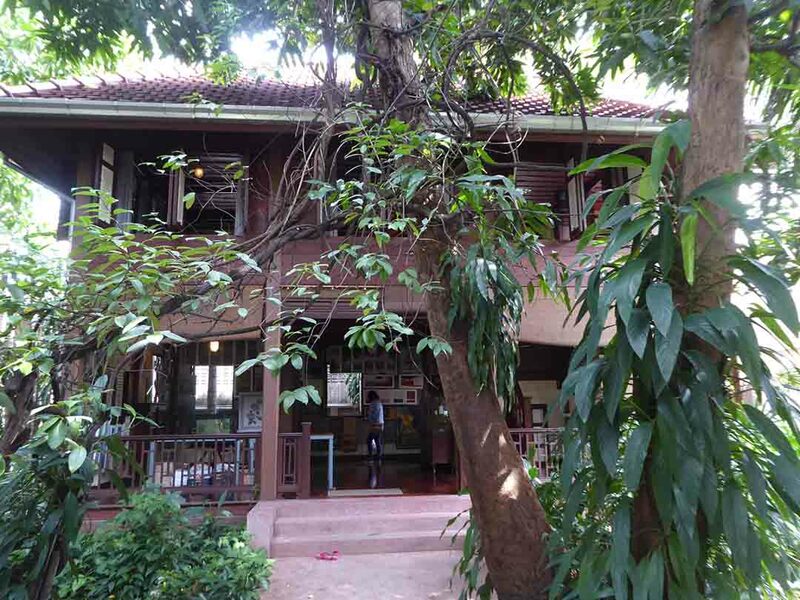 There is an exhibition of paintings on the ground floor while the upper floor contains the belongings of Doctor Francis Christian, an Indian doctor who married a member of the Surawadee family. 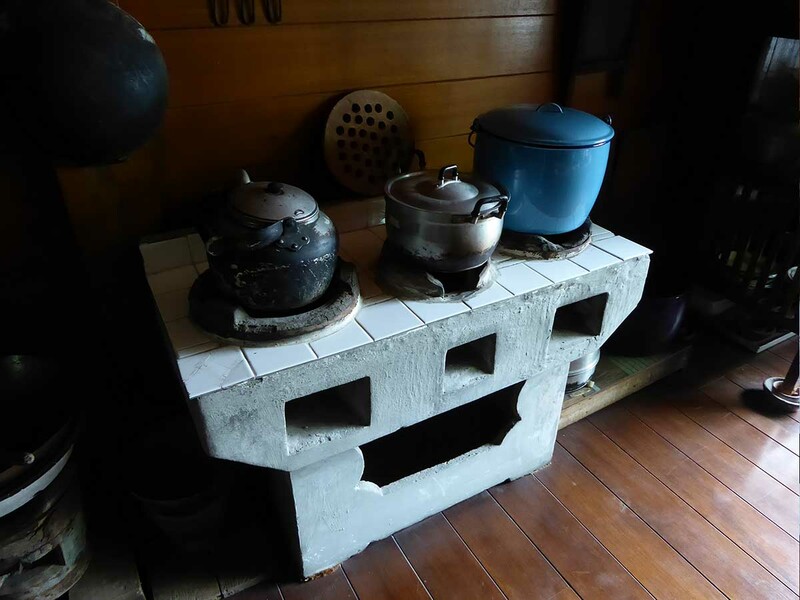 The third house has an old kitchen on the ground floor complete with the old cooking utensils. 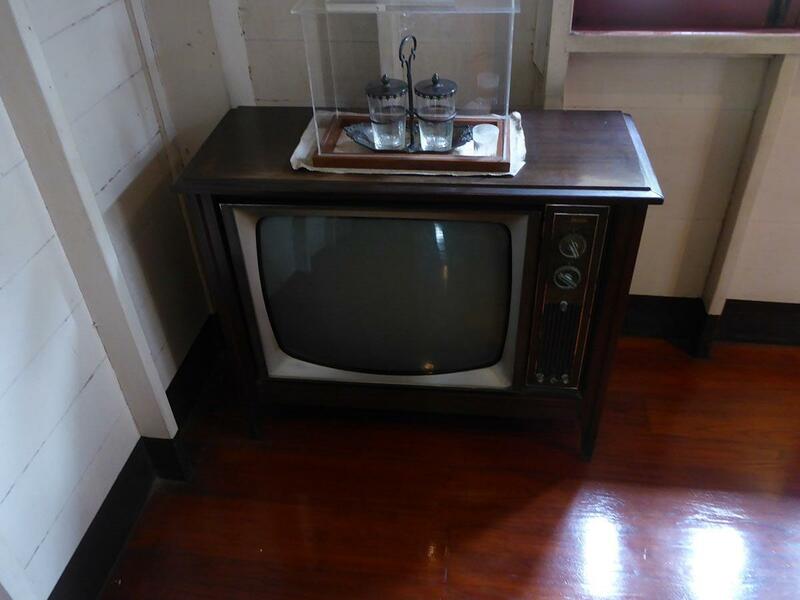 The upstairs hosts an exhibition about the political, cultural and social history of Bangkok. 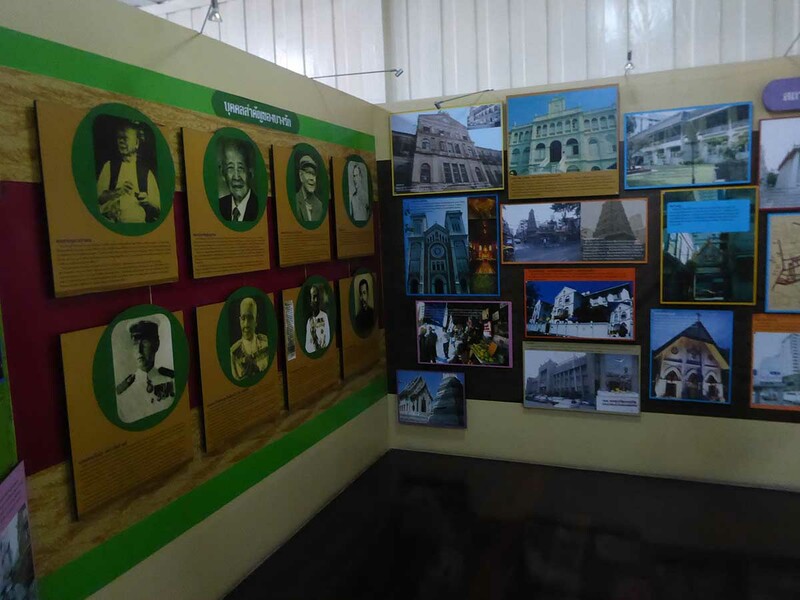 There is also a section on the development of the local Bangrak community including many old photos and documents. The fourth building which originally a kitchen and recreational area but is now a souvenir shop. The family has donated the site and the contents to the local authority. 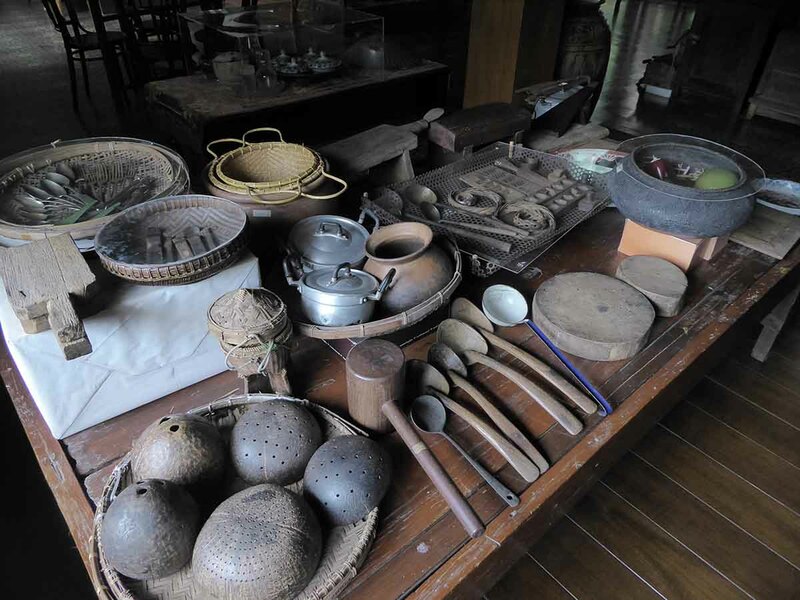 The aim is to preserve it as a museum so for younger generations to learn about the old Thai lifestyle. 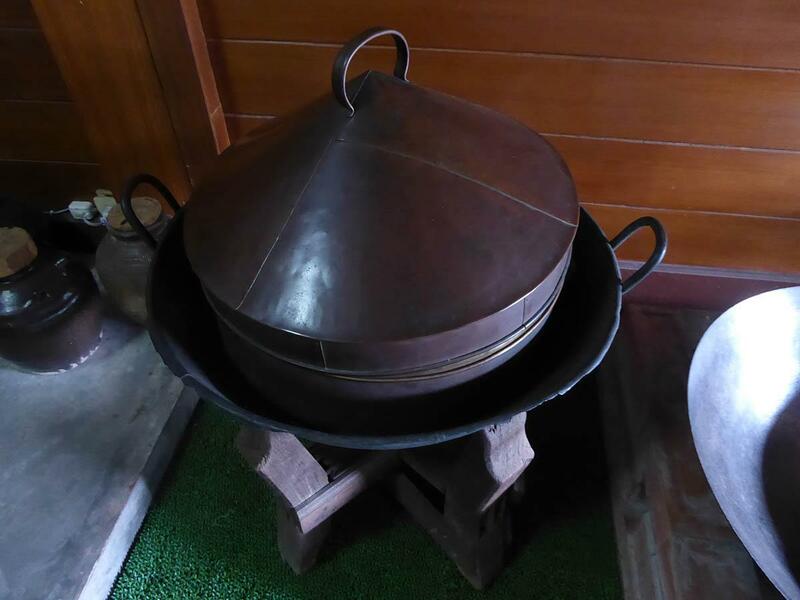 Location: 273 Soi Charoen Krung 43, Charoen Krung Road.